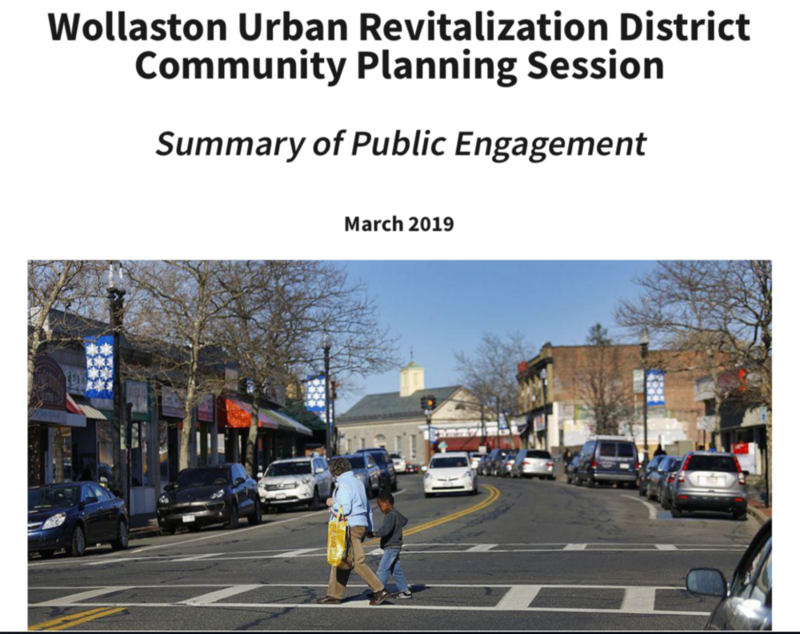 It is my pleasure to provide you with the Wollaston Urban Revitalization District Community Planning Session Summary Report. This report was the result of the collaboration with the business owners, property owners, residents, the Mayor's Office and the Planning & Community Development Department. We appreciate your time and effort in attending this very important session and the invaluable feedback that resulted. We look forward working along side you all to make Wollaston a more vibrant residential and business district community.